Asthafen (Ketotifen Fumarate) is an antihistamine medicine which also acts as a mast cell stabilizer. It is used to treat the symptoms of allergies, including rhinitis and allergic conjunctivitis. Asthafen (Ketotifen Fumarate) is an antihistamine medicine which also acts as a mast cell stabilizer. It is used to treat the symptoms of allergies, including rhinitis and allergic conjunctivitis. The body produces a nitrogenous compound called histamine, which is known to trigger the inflammatory response that occurs in allergies, as part of the body's immune system reaction to allergens or other irritants. When released, the histamine attaches to the H1 receptors, and this caused the inflammatory response. Rhinitis (runny nose) can occur due to the nasal mucous membranes becoming inflamed, or if the eyes are affected, conjunctivitis is possible, as a result of mucous membrane inflammation in the eyes. By non-competitively blocking the H1 histamine receptors and also stopping the release of histamine, this medicine helps to prevent the inflammatory response associated with allergies, thereby helping relieve symptoms of the conditions listed above. Some patients with asthma have also been given it for the prevention of symptoms. 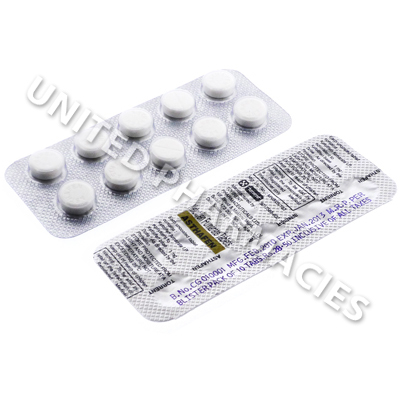 Asthafen (Ketotifen Fumarate) tablets contain 1mg of the active ingredient. Your doctor will decide upon the correct dosage regimen, as well as providing instructions regarding the length of use. In some cases, adult patients may be directed by the doctor in charge of treatment to administer 1mg, twice per day alongside some food. In some cases, changes to the dosage regimen may be recommended by the doctor. Patients should always follow the instructions given and never take more than the recommended dosage. Make sure that you notify the doctor in charge of treatment if any side effects occur. The occurrence of serious side effects is generally less common, however, medical care will be needed straight away if any severe symptoms are noticed. Consuming alcohol after taking these tablets could increase some of the medicine's effects. Avoid alcoholic beverages during treatment. If you start to feel dizzy or drowsy, it is best not to drive or use machinery. Always use Asthafen (Ketotifen Fumarate) as you have been prescribed by your doctor. Never self-medicate or change your dosage without first consulting your doctor. The correct dosage can vary depending on your health, medical history, and the severity of the condition being treated.